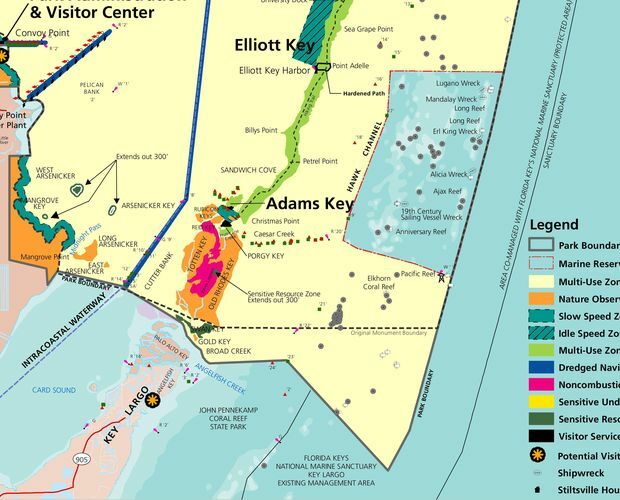 HOMESTEAD, Fla. — This past August, the National Park Service approved the final version of Biscayne National Park’s current General Management Plan, which includes the implementation of marine reserve zone covering 10,502 acres — six percent of the park’s total size. However, the marine reserve zone will not be implemented until a regulation is issued by the National Park Service. 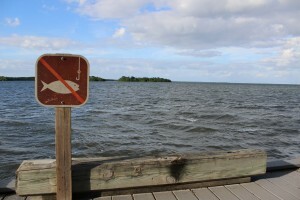 Click on the video to see a narrated slideshow prepared by writer Briana Scott about fishing in Biscayne National Park. Biscayne National Park is America’s largest marine park, covering almost 173,000 acres along Florida’s East Coast and much of southern Biscayne Bay. 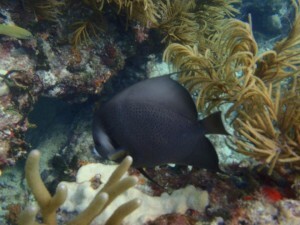 The park is home the world’s third longest coral reef tract, the offshore Florida Reef. However, according to Biscayne National Park officials, the reef is need of repair, which is where the park’s newest General Management Plan comes into play. The General Management Plan consisted of eight alternatives, ranging from no-action to actionable items. The eighth alternative was selected as the final alternative, including the implementation of a marine reserve zone covering six percent of the park and 30 percent of the park’s total coral reef population. The marine reservation establishes a “no-take” policy within the boundaries of the zone, excluding commercial and recreational fishermen from the area. Only visitors who snorkel, dive, or ride a glass-bottom will be permitted in the area. 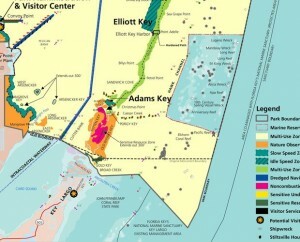 Map of Biscayne National Park, courtesy of the National Park Service. However, the final version of the General Management Plan was met with strong opposition by some. 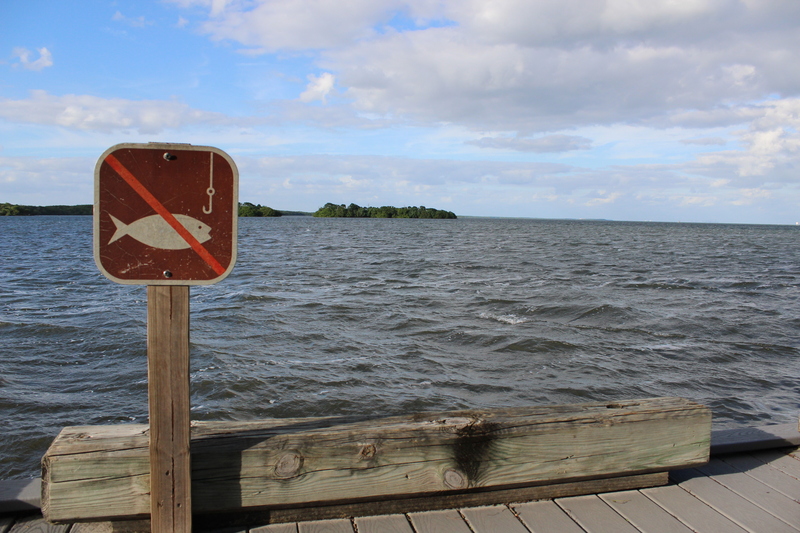 No fishing is allowed at this location at the Visitor Center at Convoy Point, Biscayne National Park (Photo by Briana Scott). According to Matthew Johnson, a park ranger and spokesperson for Biscayne National Park, park managers were at the hearing. “A hearing was held and the park superintendent was there and he participated. No other hearings have taken place since that one,” Johnson said. The bill has been referred to the Subcommittee on Water, Power and Oceans, with no major updates as of yet. 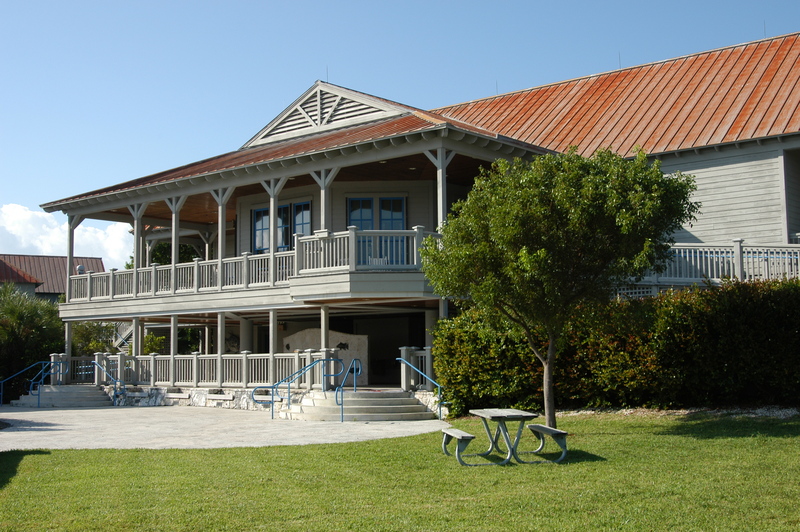 Despite claims from the Republican Congress members, Brian Carlstrom, Biscayne National Park’s superintendent, stated that the National Park Service has been open to receiving comments and feedback from the community and stakeholders. Daniel Suman, professor at the University of Miami Rosenstiel School of Marine and Atmospheric Science within the department of marine ecosystems and society, expressed his agreement with the superintendent. “There was a panel to develop a fishery management plan—I was part of that—and there were many different fishers of different kind, recreational and commercial fishermen …. There were many public hearings and they presented their perspective. So they weren’t excluded from the decision-making process at all,” Suman stated. Some of the marine life at Biscayne National Park (Photo by Marcus Lim). Below, the Fascell Visitor Center at the park (Staff photo). Despite protests from some, the General Management Plan was approved. However, the marine reserve zone will not be placed into effect until a special regulation is issued by the National Park Service. The question that remains now is: when the policies outlined within plan will be implemented? The projected date is in the next year, but that is subject to change. However, Suman expressed some doubts to the regulation being passed next year. “It depends on the [presidential] election. 2016 is what they say, but of course, there could be a delay, especially during this time,” said Suman. Suman also stated that while local congressmen represent their districts, he does not think that will have much of an impact on the regulation process. According to Suman, the regulation that must be passed by the National Park Service is an internal procedure, but there may be opportunities for the public to voice their opinion. “But like all federal regulations, there will be drafts and final regulations, so there will be an opportunity for the public to comment—written—any maybe they’ll hold hearings about the regulation,” stated Suman. Until the special regulation is passed, recreational fishing is still permitted in the area that has been designated a marine zone. You can also go snorkeling, diving, camping, and fishing within the park. Be sure to visit the information center at Convoy Point for more information and tips during your visit at the park. For more information, please visit the park’s website here.